‘Foundation Skills’ is the name given to a core set of training resources that cover the fundamentals of cannabis industry literacy and provide a broad base for development and learning. They include areas such as managing your own time and learning to manage other people and teamwork. There is cannabis industry topic-specific training available in areas like identifying cannabis impairment, determining valid identification (or Fake ID’s SOP), cannabis cultivation, occupational safety and health training, effects of cannabis consumption, and many other topics. As the names of the topics suggest, these are key skills that would benefit any dispensary employee from newbies to new managers. But addressing these skills requires more than just directing people to the next training session or asking them to view an eLearning module. As we know, training that is unsupported and not aligned with business goals and employee needs is likely to fail to have the desired impact. So, how do you address the needs of these foundation skills and ensure that they’re effective and produce the right results in the cannabis industry? If cannabis industry training has a bad rep, it’s because it’s regarded as uninspiring and unnecessary and a distraction from the real task at hand: work. We’ll return to this dichotomy between training and work a little later. But first, let’s look at why training is regarded as a chore and seen as ineffective. People tend to regard training as ineffective when they don’t see the relevance. This can apply as much to a cannabis dispensary as its employees. No-one wants to learn what they already know or feel they don’t need. Therefore, the first step to addressing Foundation Skills is to do a needs gap analysis and discover who knows what, and who doesn’t, and where training is needed. This may be easier at the onboarding stage, but we shouldn’t assume that more experienced employees don’t need assistance. Polling employees is a good start. The more you engage with them, the more likely they will engage with you. Also, evaluate what you already have. Before starting any training, perform a pre-assessment so that you know what your target cannabis industry employees know. This prevents wasting time training for what is already there and can reveal particular gaps that can be addressed in a more targeted way. If your organization uses a Learning Management System (or LMS), you can also conduct an analysis of what training has been used and viewed, and what hasn’t, and how often. Even if the gaps are obvious, you can’t assume a willingness or commitment to fill them. You can provide courses or resources to bridge the gaps and meet the cannabis training needs your analysis has uncovered, but that’s no guarantee that uptake will increase. You need to engage and motivate your employees to learn. Effective learning requires the effort of the learner too. If he or she engages, the training is more likely to make an impression and more likely to be applied. Linking Foundation Skills training with certification and cannabis industry bodies allows employees to be recognized for their effort and also emphasizes the need to maintain and improve skill levels continuously. That helps maintain standards for businesses and the cannabis industry, but it also provides recognition for dispensary employees. The motivation of CPD for employees is the formal, shared recognition of their attainment and skills. And it’s directly linked to career advancement within the cannabis industry and beyond. It works for employers too as they’re more likely to retain a motivated workforce that proactively enhances its skills set. The range of skills required to have a solid foundation in business keeps growing. It’s hard for the cannabis industry to keep pace. But there are suites of Foundation Skills eLearning modules available that can help businesses cover all the bases. These suites add new modules regularly as the demand for upskilling grows. They identify and cover new topic areas as they arise, whether it’s new legislation or new workplace policy areas. eLearning modules are designed by learning specialists and created with the assistance of Subject Matter Experts (or SME’s) who know their subject inside out. So, as a learner, you not only receive diverse training material, but you can be assured its content is in line with industry’s best practice. The modules are designed to grab and retain learners’ attention. They incorporate social media-like collaborative activities, gamification, simulation, assessment, and accreditation. It’s a multimedia approach that makes training for the cannabis industry more attractive and it is also what modern learners are exposed to online resources and social media. Videos and animations make learning more visually engaging and memorable and improve retention of information. Many eLearning modules can be customized to make training more personally relevant. 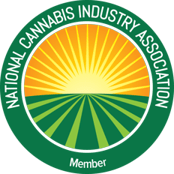 Modules can be tied to cannabis industry certification. eLearning offers improved accessibility and flexibility. Its digital format and built-in adaptability allow access across a range of devices. It facilitates learning on the go, just in time, through mobile connectivity, meaning learners can access and use the cannabis industry training on their tablets and mobile phones. This liberates people from the typical classroom or desktop setting and allows them to access training where and when they choose. That element of control is vital in allowing dispensary employees to take ownership of their learning giving them greater involvement in their own training path. eLearning can be delivered in a flexible way, too, that allows learners greater control. It can be parcelled into chunks, repurposed and reused. With this microlearning approach, employees access small nuggets of training or support resources. This makes learning more personal to them (and personalized for them) and allows training to be more directly targeted to meet specific needs in a time-sensitive way. Just-in-time access brings learning directly into the working environment. It replicates the way people are used to accessing information every day, using mobile devices to get direct access to a world of information and discover and use what they need when they need it. Foundation Skills may concentrate on the basics in the cannabis industry, but that doesn’t mean they can be completed and then forgotten. The impetus behind cannabis industry training is that learning is a continuous process that can be supported by developing a learning culture. Foundation Skills can be the basis for this culture promoting continuous learning, not just one-off events or specially designed courses to plug a hole. Let’s consider again that dichotomy between training and working. It’s essentially a false one. Training becomes most effective when it’s embedded in the workflow when it becomes part of working. Training needs to be complementary rather than just supplementary, providing the support to do the job. As support, training is more effective when it’s available while you’re doing the job. Foundation Skills are all about having the right tools. It’s only appropriate that they should also be in the right place. With digital training resources available wherever you are and whenever you need, you have a great enabler for continuous learning. Foundation Skills provide the cornerstone of the cannabis industry literacy. Providing Foundation Skills training is an investment in the cannabis industry’s greatest asset: its people. Making sure there’s a broad base of skills shared across the organization, means you have the fundamentals in place on which to build, develop, and retain your talent. Investing in Foundation Skills is an insurance policy for the future well-being and performance of the cannabis business. These tips help you make the most effective use of Foundation Skills and address the core training needs of employees across the organization. Once you have those solid skills in place and share the training resources, your cannabis dispensary and your people are in the right place to meet the challenges ahead. This entry was posted in Cannabis Industry, Training Tips and tagged 420 training, cannabis education, cannabis training, dispensary training, marijuana education, marijuana training.